Cellular communication subscribers of Beeline in the course of a day are sent advertising messages. The phone screen periodically turns on and it displayed information. This service is called "chameleon". It is enabled on the SIM card by default. Some of the subscribers connected to the service "be in the know Beeline". It lies in the fact that if Beeline subscriber is unreachable, then his phone receives an SMS with information about missed calls. The subscriber may disable the Beeline-the message. 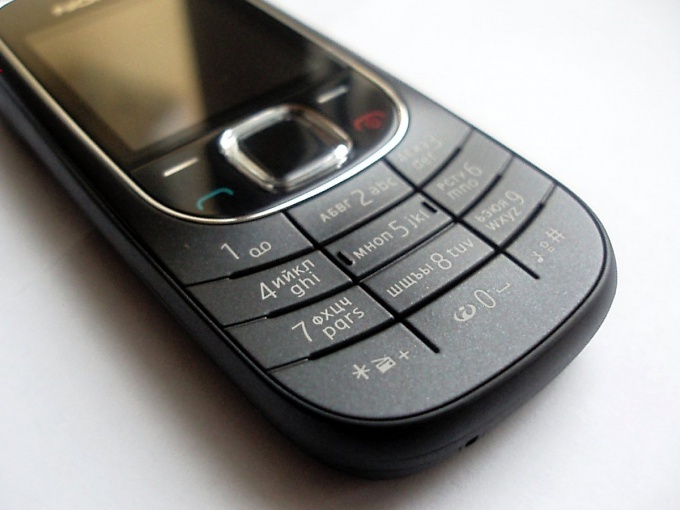 Insert the SIM card Beeline to your mobile phone. On the keyboard mobile phone, dial the combination of numbers and icons *110*20#. And then press call. On the screen appears the inscription "query running". After some time on the mobile phone will receive a message with the text "chameleon, your request fulfilled." Beeline communications are disabled, and the Beeline is no longer sent to your phone number. Insert the mobile phone SIM-card Beeline. Find it in the menu of the mobile phone section Beinfo. In this section, select the subsection "chameleon". Select "activation" and select the option "disable mailing". After some time, you will receive a message confirming that the service "chameleon" is disabled. Contact the customer care office of Beeline. And write there a written waiver stating that you do not want to receive promotional information. Service "chameleon" Beeline will be disabled. Call to 0674 05551. The robot will inform you that your request has been accepted. After some time on your cell phone will receive a message stating that the delivery of mobile advertising is disabled. And is Beeline will no longer bother you. Insert the SIM card Beeline mobile phone. Type on the keyboard command, consisting of digits and icons *110*400#. And press the call key. The function of "be aware Beeline" will be deactivated on your SIM card. And SMS alerts about missed calls on your phone come no longer. Insert the SIM card Beeline to your mobile phone. And type on the keyboard combination of characters and digits *110*1062#. Then press call. The function of "be aware+ Beeline" is disabled on your phone. 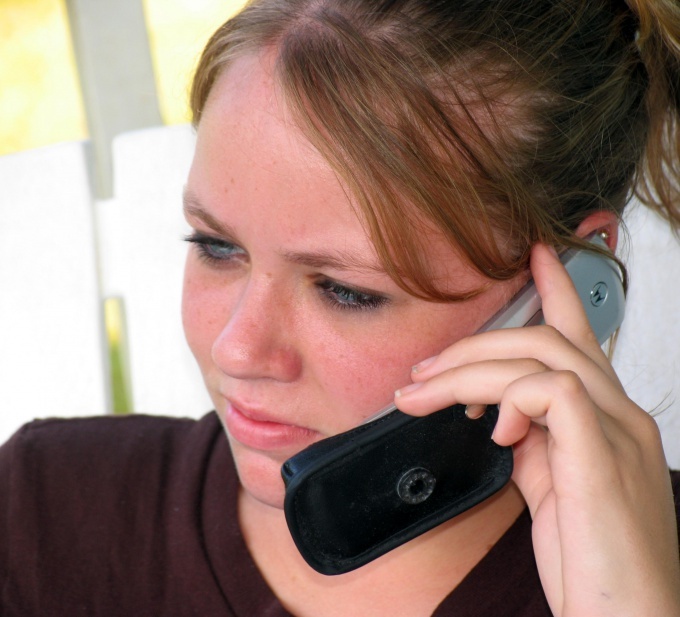 SMS alerts on missed calls and voice messages from those callers you will not be delivered. If you want to know the list of services attached to your SIM card, then type on the keyboard command to *110*09# and then press call. In a minute you will receive a message with a list of services. Block newsletter in several ways. The easiest way to unsubscribe from the official mailing that you subscribed on their own, but harder to get rid of annoying mailing/advertising, if it's spam. 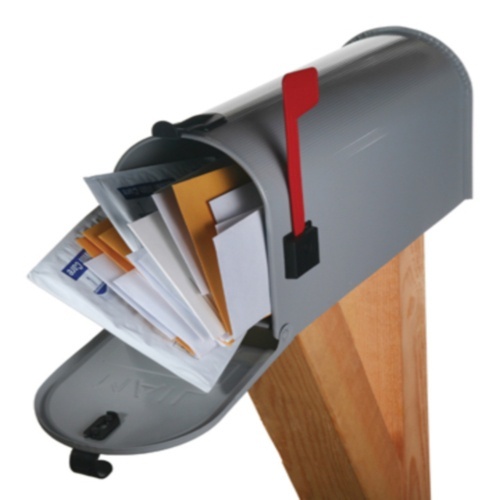 The least complexity in the opt-out is a mailing system official service mailbox. Such letters come to the boxes located on free email hosting: mail, rambler, yandex, etc. Therefore, if your mailing list comes from an official source, the most simple solution is to go to the settings box and click "unsubscribe from all mailings". It is not difficult to unsubscribe from newsletters, if they come from official news and other mass portals. In General, any site that is well-proven (according to user reviews). To unsubscribe from the mailing list, the source of which are such sites that need: it is necessary to open the letter sent with the mailing of the website and view it. Usually at the bottom there is the inscription "unsubscribe". Simply click on the item and then confirm your decision. Sometimes the newsletter comes from the website where you registered, but at the bottom of the letter there is no point to "unsubscribe", then you need to go to the website and search for contacts to contact. Usually contacts administration says in a special section "contacts", "communication" or a similar name. As soon as you find a means of communication, write a letter with a request that we stop sending the newsletter. If the problem is not solved, i.e., you write a letter to the administration, but there is no response, or sending coming from unknown source, then it is possible that it was spam. It is necessary to block separately. Some mail systems have a button "this is spam" it should be to choose the opposite letter. If such feature is not on your mailbox, the e-mail sender should be put in the "black list". In order to avoid such troubles, should not be spread in open access personal e-mail. Or, at least, to use simple security tools (e.g., http://2ip.ru/spambot). The operator of mobile communication "Beeline" there is a service called "Chameleon". If it is connected for the subscriber, it will be daily from 8 am to 10 PM) to get on your phone text messages infotainment and advertising. If necessary, the service can be turned off at any time, using a special service or number. To opt out of receiving such communications service "Chameleon", the subscriber must dial his mobile device a USSD-command *110*20# and press the call key. In addition, services can be waived with a special telephone menu: select "Beeinfo" and then respectively click on the desired column called "Chameleon". Then you will see the "Activation". Click on it and then Off. To manage services, users of the network "Beeline" can yourself. This is possible through the self-service system located at https://uslugi.beeline.ru. Please note that it is possible not only to turn off the "Chameleon", but also to activate/ deactivate any other services, and also to change a tariff plan, to produce a detail of your personal account, unblock or block phone number. In order to access this system, use the USSD-request *110*9#. After you send him to will receive the SMS message. It will contain the access password (temporary), and login will need to login. By the way, your username or any subscriber is a phone number, but specified only in ten-digit format. Do not forget about the "Mobile consultant" answering machine "Beeline", which also allows you to disable unnecessary services. To call your voice mailbox number 0611. But this system is useful not only because it can help to manage services, but also the fact that it will help you learn more about the prescribed tariff plan and also about its features, get information on the status of account, and more. Detailed description of the "Mobile consultant" is on the official website of the company. 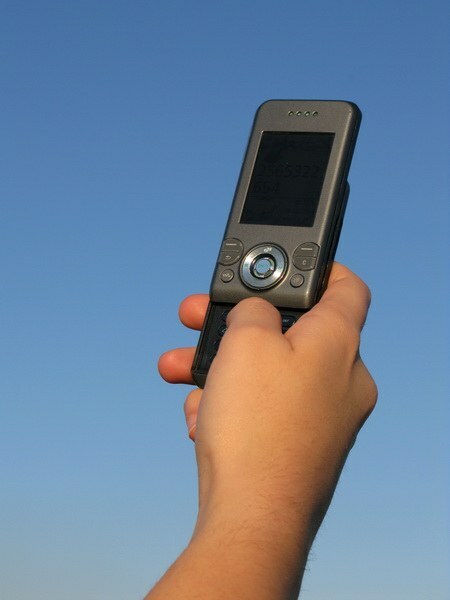 The service of receiving and sending short messages is usually available by default when you connect a mobile phone number. If you don't need it you can disable it or configure by contacting technical support. Call the technical support service used by you mobile operator, and then connect to the operator menu machine. 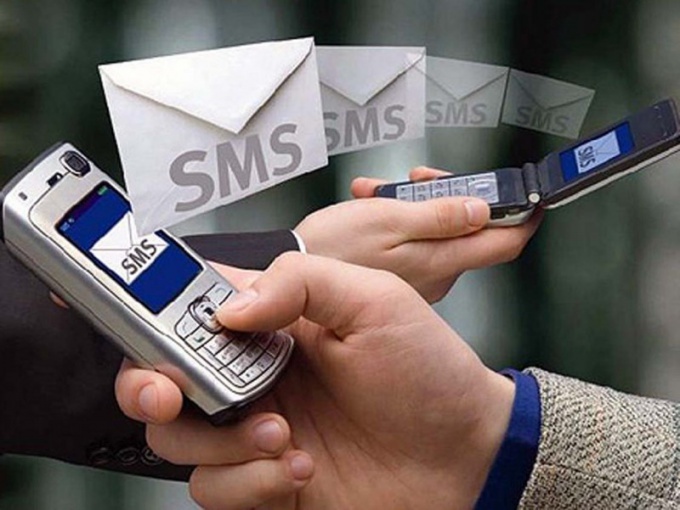 Ask the employee of technical support service to disable a service for you to receive incoming SMS messages. Please note that depending on the network operator may be unavailable and the service sending short messages on the phones of other subscribers. Specify the moment the worker of technical support. Go to the official website of your mobile operator and go to "my account", if this menu is provided in your case. Enter your login details if you have none available, you will receive a login and password to your number as SMS-messages. After logging in, go to the tab connected to your room services. Find the messages, mark them and remove from list, if necessary, confirm the operation provided by the operator method. If you need to block SMS messages from a specific person, please contact the subscription office customer service mobile operator in your city. When you call you will probably need your passport or any other document that identifies you as the owner of a mobile number. If the SIM card is designed not for you, you need a human presence, which has run its check, will also need documents certifying the identity of the owner. Note also that many modern mobile phones have the function of filtering or blocking incoming SMS messages read the user manual to your device and, if available, lock it, or set the accept incoming messages. You can also add a sender to blacklist, you will not only cease to receive his messages, will be blocked incoming calls from him. This is done in the mobile phone menu or contacting the operator. Do not turn off the service message, it is quite convenient way to receive news from the operator. In a contract for the provision of services by the mobile operator "Beeline" is the item under which you can receive messages advertising: useful information about promotions, discounts, goods, products and services of partner companies "Beeline". If these messages come too frequently and starting to get annoying, you can disable SMS sending. 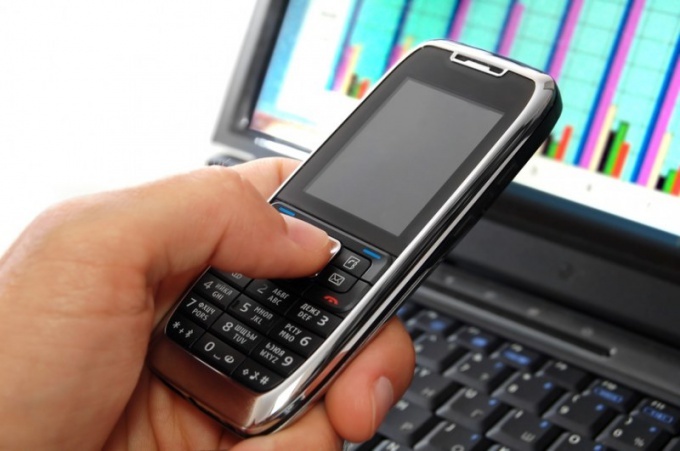 - mobile phone with a positive account balance. Delete from the address book of your mobile phone entry with the number balance. Any contact on the SIM card or the phone that contains the command *102# to prevent you off the mailing list. Dial the number 0674 05551. You will be answered by the answering machine, which says: "Your request has been accepted. Thank you for calling." Listen to the message and disconnect. Create a phonebook item balance enquiry, replacing the standard star at the beginning of the room to the latticed. According to one of the many points in the contract, a standard balance inquiry by dialing *102# include spam again. So disable the mailing list for a long time can not be — at each balance inquiry service will again be automatically enabled. Balance inquiry to number #102# - the thing is much more convenient. The message about balance is written in Latin letters instead of Russian, but replace the standard mindless is the message you will receive information about your bonus, free seconds and more help about the short numbers of the operator, that information is really useful. Dial 0674 05551 every time after the habit of dialing with asterisk. Submit a written statement with a request to disable promotional emails by Fax to the number (495) 974 5996. After reviewing your application the SMS-informing will be disabled. 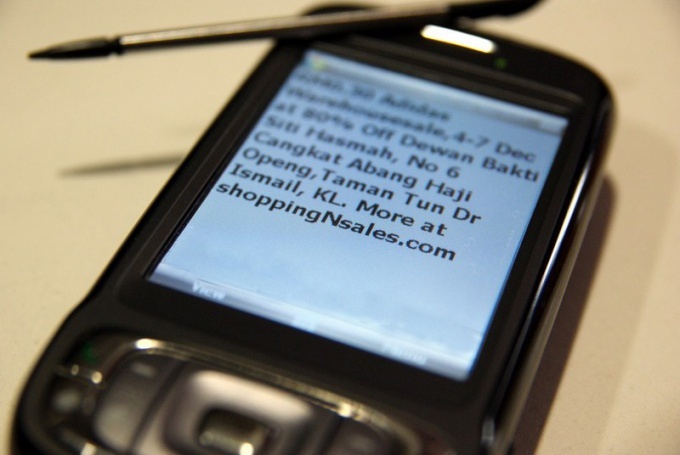 The possibility of receiving SMS-mailing of advertising spelled out in the contract with the mobile operator "Beeline". Everything is legal, so in case of any problems with service there remains only one thing – carefully read all items of the contract with a magnifying glass looking at the small lettering under the "stars". Although the call to the service telephone number 05551 0674 is free, at a zero or negative balance on your phone to make a call will fail. The subscribers of "Beeline" can get messages on your mobile phone, if they have connected to the service "Chameleon". From receiving promotional communications you can opt out at any time. For this you need to use one of the presented services or phone numbers. If you want to disable receiving mail from the operator, then use the USSD number *110*20# (dial it on the telephone keypad and press the call button). Please note that for the refusal of the "Chameleon" does not necessarily apply to external sources. You can also go to phone settings and in the special menu, choose graph Beeinfo. Then, simply locate the desired service, click on it. You will see a box called "Activate". It is necessary to press the key Off. 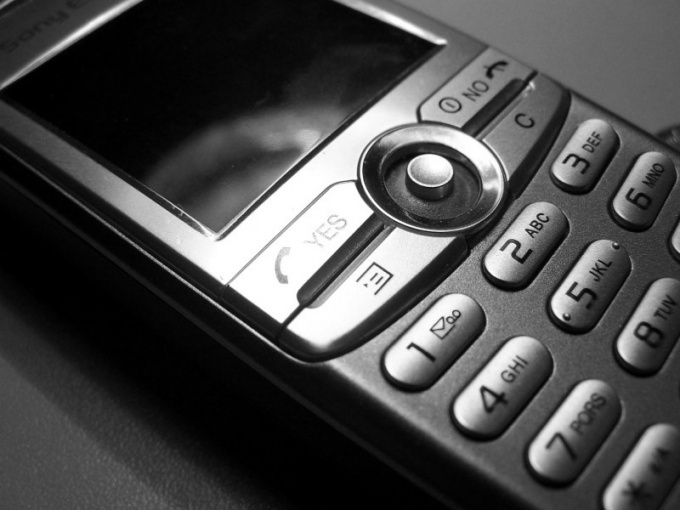 To help in the deactivation of unnecessary services (including numerous mailings) can the answering machine from the company "Beeline", which is called "mobility consultant". He is available on number 0611 (intended for calls from mobile phones). It should be noted that the multi-functional system. Thanks to it the subscriber can also obtain a variety of information: for example, about the options of the current tariff plan, account balance, emerging new products, and much more. Much more information on the "Mobile consultant" you can find on the official website of the operator. The company "Beeline" is available to customers and independent management of all services. This is possible through the special system. It is located on the website https://uslugi.beeline.ru. The full range of its actions is composed of many points, namely the change of tariff plan, order detailed account, blocking and unblocking telephone numbers, ordering and disable services. If you want to access this self-service, the operator send the USSD-command *110*9#. After that you should receive the SMS message, which will contain the login details to login and a temporary password. By the way, your username will be your mobile phone number, presented in ten-digit format. When you connect a new sim card mobile operator Beeline on the phone regularly receiving messages with different information. This service is installed to subscribers by default and is called "Chameleon". Such messages are a nuisance and annoyance to subscribers, but they can disable. Cancel the service "Chameleon" with BeeinfoОтключить spam on the phone at the service Beeinfo. Go to phone menu and select the icon for the sim card with the inscription "Beeline" or "Beeinfo". Click the "Chameleon" (hameleon), followed by "Activation" and "Off". Call comindonesia keyboard cell phone combination *110*20# and press call. The screen immediately displayed the following message: "Ordered: deactivate Chameleon". Then another SMS arrives: "Chameleon> Your request completed". Will call service provider to disable the message Beeline, dial the number 0684-700-000 and make the call. The voice menu will say to you: "Your request has been accepted. Thank you for calling." After that, your phone will receive 2 messages. One will indicate that your request is fulfilled, and in another that the service "Chameleon" is disabled and provides information about its connection (if suddenly missed spam). Read the contract on the conclusion of services Brainpro connect a new sim card Beeline mark the point that you do not want to receive any messages the network with unnecessary information on your phone or inform the consultant/purchaser performing the connection of the sim card. Activate the service "Chameleon"Service "Chameleon" is providing information on various topics. You can not get all the news, but only those that interest you. Can be ordered free of theme "Star", "personal", "Sports", "news", "smile", "Night", etc. in Order to activate a "Chameleon", dial *110*21#, and the message will be sent to the phone from 8 am to 10 PM. Messages from "Chameleon" on the phone are not saved and pop up on the screen, delayed for a maximum of 3 minutes and disappear. If you are interested, you can read the details of the message or change the subject. Informational messages on different subjects can act on the subscriber's phone "Beeline", if he had activated a service called "Chameleon". However, if necessary it is easy to disable, using the self-service system or service number. In the "Beeline" there is a large self-service system, through which subscribers is also available to manage your tariff plan, SIM card lock and restore it, getting details of the account. To enable or disable a service, type in the address bar of your browser the address https://uslugi.beeline.ru. Next, you will receive a password to use for authentication (the username is the mobile number of each subscriber). Enter the request *110*9# and press the call button. In a few minutes the phone receives the message with the desired data. To jump to the administration page of the account, enter them in the box on the main page, then click "Login". The second service that helps customers to unsubscribe from annoying newsletters and not only is called "mobility consultant". Call to the short number 0611 to not only disable the services, but also to know the status of account, manage the tariff plan, to obtain information about the new stake. A more detailed and full information is on the official website of "Beeline". To unsubscribe from the mailing list "Chameleon" through sending a special USSD-request to *110*20#. In addition, all subscribers available a separate menu Beeinfo, located in the settings of the phone. After navigating to this menu, click on the name of the desired service, and you will get in the box "Activate". Set the state to Disabled. Those users who are having some difficulty with disconnection or connection of any service, feel free to contact the salon communication "Beeline". The employee of the company will make all necessary actions. Note: deactivation is free of charge, only connect the operator can withdraw funds from the account of the subscriber.